What’s the Difference Between High Efficiency (EF) Ratings vs the New Uniform Energy Factor (UEF)? Ever researched water heaters before a purchase, then you’ve probably compared high efficiency, mid-efficiency and standard efficiency information. To help consumers in their water heater purchase decisions, the Department of Energy has developed new industry standards. Due to inconsistent, unreliable interpretations of High Efficiency (EF) ratings across national brands, all water heating manufactururers are now required to comply with the new DOE testing procedures and rating standards. How Will UEF Affect Me? 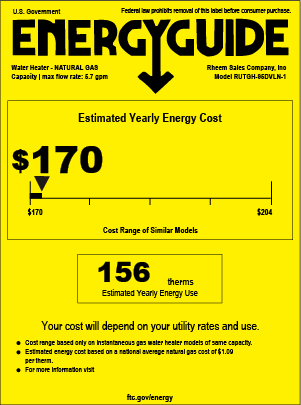 You may notice new numbers associated with the water heaters you’re considering. 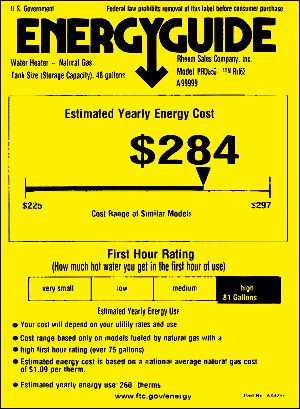 The water heaters themselves haven’t changed, but the way we calculate the ratings and other facts and figures associated with them is different. In fact, UEF provides a more consistent and accurate way to measure energy efficiency performance in water heaters across all national brands. 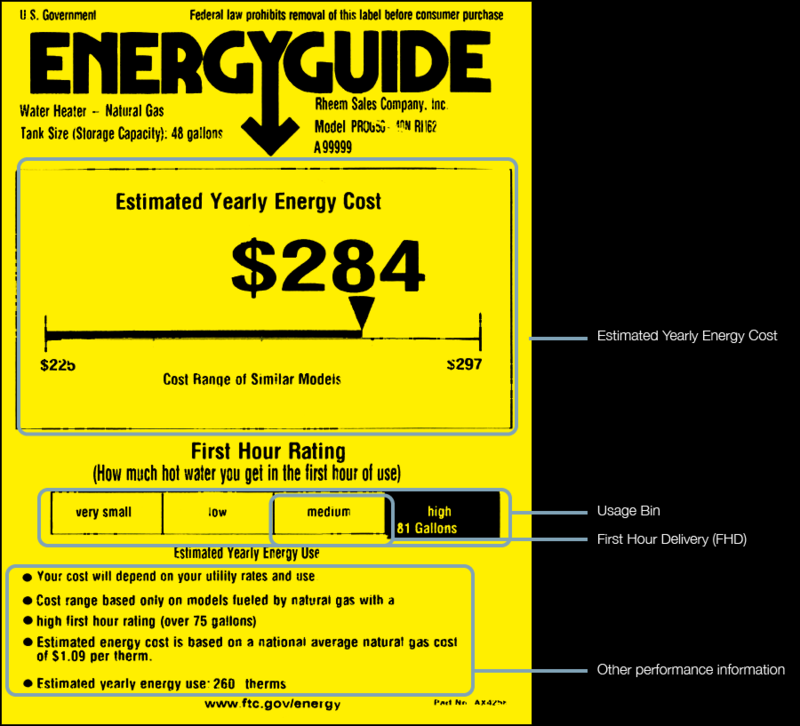 What Energy Efficiency Rating Factors Have Changed? The new UEF standard affects more than just the efficiency number itself. Adjustments in new DOE testing procedures now impact water heating performance stats associated with the amount of hot water produced in a real-world situation to the length of typical showers. 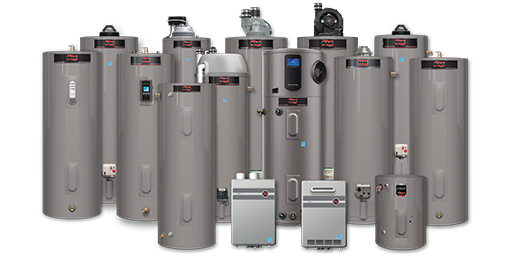 FHR, sometimes referred to as First-Hour Delivery (FHD), is the amount of hot water a water heater can provide in the first hour of operation. Updated testing procedures result in a more accurate representation of performance. 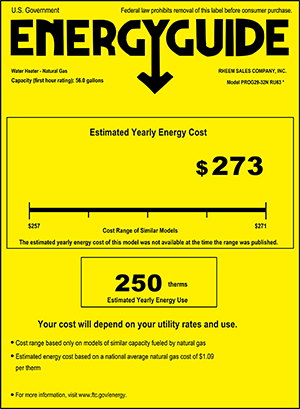 Previously, capacity was expressed as a single number that didn’t fully represent the actual storage capacity of the water heater. With the UEF regulations, the DOE now requires manufacturers need to inform buyers of both of water heaters’ nominal capacity by gallon grouping (40, 50, 60 gallon, etc.) as well as the actual storage capacity (35, 37, 42, 58 gallon). 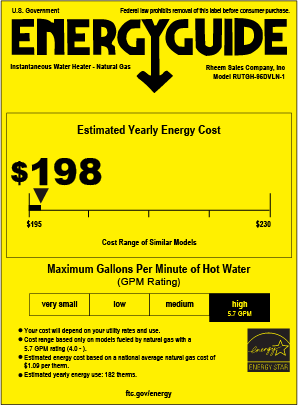 The updated testing procedures enable a more accurate approximation of what it will cost to run a particular water heater. 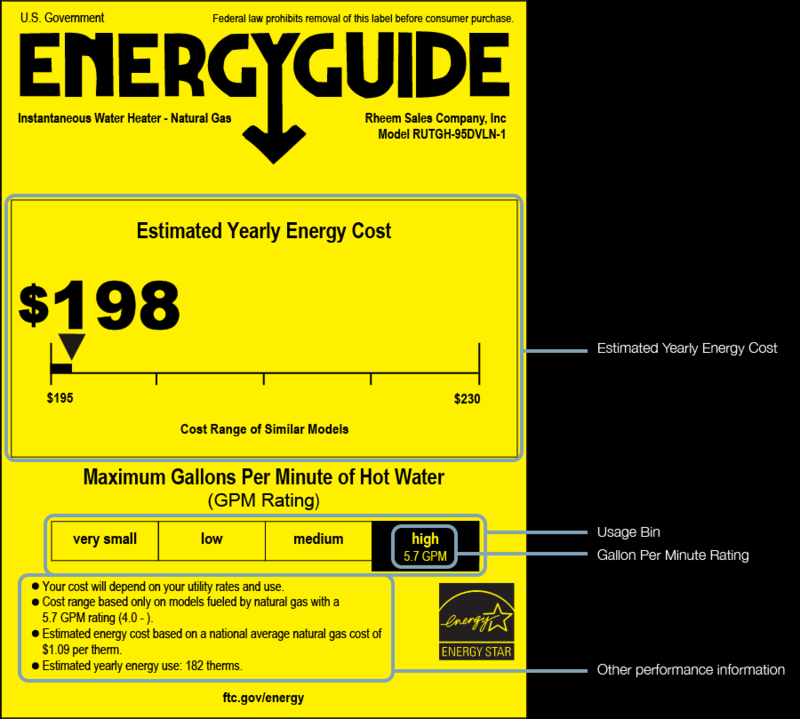 With the new UEF standards, Energy Guide labels will now include updated performance information to help consumers and contractors to choose the water heater that best accommodates their needs. For more information on UEF water heaters, Rheem experts are here to answer your questions.